Are you always satisfied with a pictures you have taken? I am not. Moreover, it is hard damn difficult to realised while you are processing your pictures that you have missed that shot or I should have been shooting differently, from other perspectives, with other gear and other and other... Every wedding is different, every moment is different and I dont know how to be ready for those changes. I wish I would but that day I was thinking that my 35 mm lens will do the job for me and indeed it does but I missed in my opinion all other shots like event place, general shot, ambiance, details. At the end I have this one which I love. 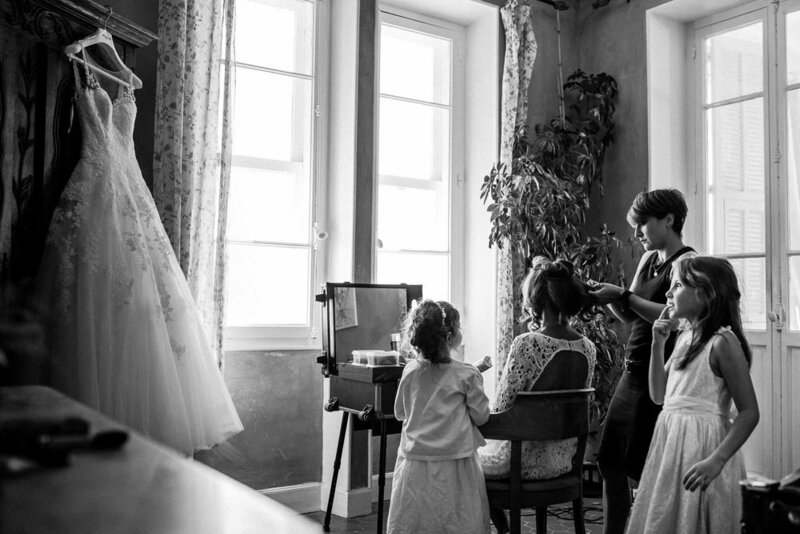 I love this intimate moment, the look of this little girl at the wedding dress and I hope that this picture will stay long in the memory of bride and groom.